The Great Benjamin’s Circus will be coming to Blackville on Wednesday, September 7 at 7:00pm at the Blackville Ball Park. 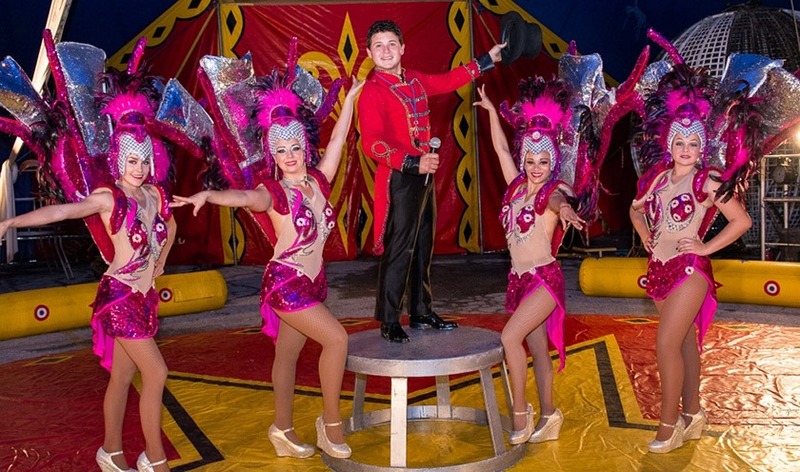 The 3rd generation of Circus Family originates from Mexico and the United States. Their Circus is a one of a kind experience, featuring clowns, juggling, acrobats, daredevils, and much more! Great Benjamin’s Circus prides themselves in bringing to you one of the oldest forms of live family entertainment for all ages. Tickets for the 90 minute show are available in advance online at https://greatbenjamins.yapsody.com/event/index/48049/blackville-nb. If you’ve purchased a ticket online and are unable to print it, just come to the box office with a photo id. Or you can present your ticket on your smartphone. Tickets are also available at the door beginning at 6:00pm on September 7. Family Pass is $45 in advance and includes 2 adults and 3 children. Regular box office price is $89. Children 12 and under or seniors 55+ are $10 in advance or $15 at the door. For more information about The Great Benjamin’s Circus, visit their website at http://www.benjaminscircus.com.